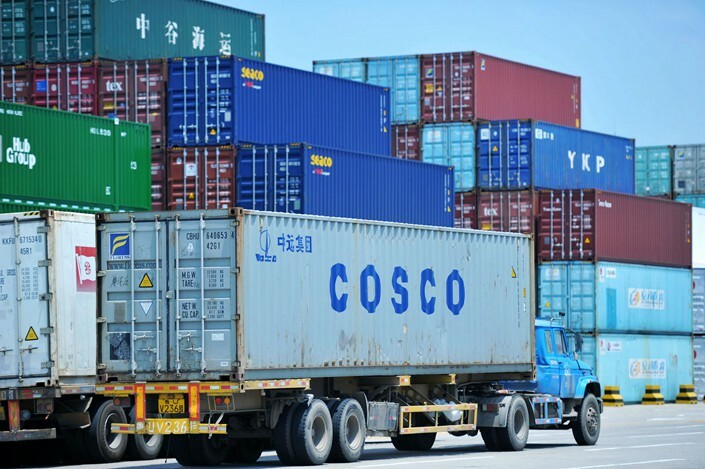 (Beijing) — Growth in China’s imports hit a six-month high in July, while its trade surplus shrank by more than a third from a year earlier. 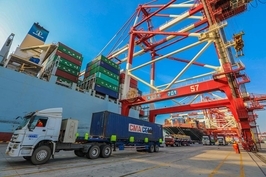 The July trade data provided the first glimpse of the effects of the trade war between the U.S. and China as the two countries’ punitive tariffs on each other’s goods took effect. July’s numbers show the impact of the tariffs has been subdued, at least so far. The world’s second-largest economy purchased $187.5 billion worth of goods from overseas last month, an increase of 27.3% from a year earlier, according to data released by the General Administration of Customs. That growth rate was the highest since January’s 37.3%. China’s exports rose 12.2% in July from a year ago to $215.6 billion, picking up from a pace of 11.2% in June and marking the fastest growth rate since February, customs figures showed. That left a trade surplus of $28.1 billion in July, down 37.4% from a year earlier. “Chinese export growth held steady last month with few signs of much impact from the first round of U.S. tariffs,” said Julian Evans-Pritchard, an analyst with research firm Capital Economics, referring to Washington on July 6 imposing an additional 25% tariff on about $34 billion worth of imports from China. China’s shipments to the U.S. continued to hum along, rising 11.2% from a year earlier to $41.5 billion. But the value of exports dipped slightly from June’s $42.6 billion, the first month-on-month decline since March, customs data showed. Imports from the U.S. gained 11.1% year-on-year to $13.4 billion, down from June’s $13.7 billion. While the modest weakening of exports to the U.S. “hints at some impact from the tariffs,” it may also be partly led by “a broader softening in economic momentum among developed economies” given that exports to the EU also fell in July from June, Evans-Pritchard said. China’s exports to the EU totaled $35.9 billion last month, down from $36.8 billion in June, according to customs figures. The U.S. and China started levying the punitive tariffs in July after months of mutual threats and fruitless negotiations. 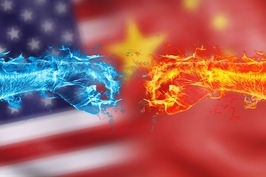 The trade tensions arose from Washington’s accusations that Beijing engaged in unfair trade policies and Chinese firms stole intellectual property. Both sides have since expanded the scope of goods that are subject to the levies or proposed new tariffs on more goods, fueling fears that the trade war will escalate. On Tuesday, the Office of the United States Trade Representative (USTR) announced that the country’s customs authorities will begin collecting an additional 25% tariff on $16 billion worth of imports from China on Aug. 23. 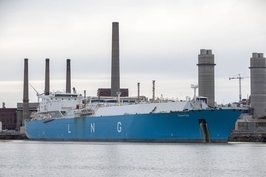 The move followed Washington’s imposition early last month of an additional tariff of the same rate on $34 billion of Chinese imports. China has struck back with tariffs on U.S. imports of an equivalent value, focusing on farm products such as soybeans. The country’s overall imports of soybeans plummeted more than 20% last month from a year ago to 8 million metric tons, according to customs data. “This showed the tariffs have started to have a marginal impact,” Liu Dongliang, an analyst with China Merchants Bank, said in a note. “Although the tariffs’ impact on trade is likely to remain relatively limited in the short term, more negative effects will emerge as the (trade dispute) goes on and additional taxes take effect,” he said, referring to the tranche of U.S. levies to be collected from later this month. Earlier this month, U.S. President Donald Trump instructed the USTR to look at slapping an additional 25% tariffs on another $200 billion of products from China, up from the 10% proposed on July 10, as he seeks to ratchet up pressure on Beijing in the intensifying trade dispute. China has said it would retaliate with additional tariffs ranging from 5% to 25% on American goods worth $60 billion annually, if the U.S. turns the new tariff threat into action. Lin Jinbing contributed to this story.